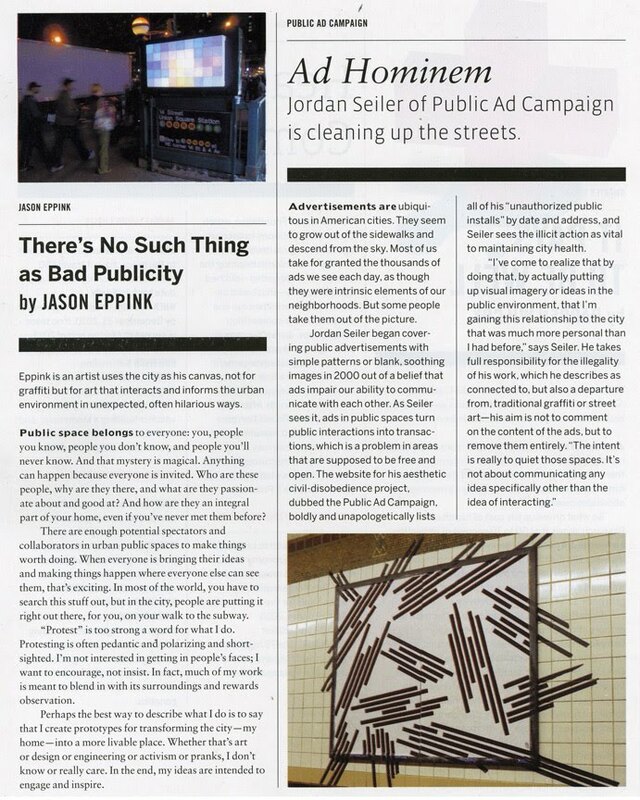 Public Ad Campaign: Good Magazine's Top 100, Or So. 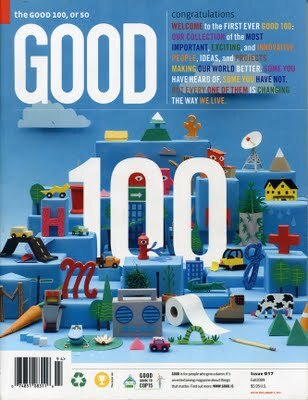 Good Magazine's Top 100, Or So. 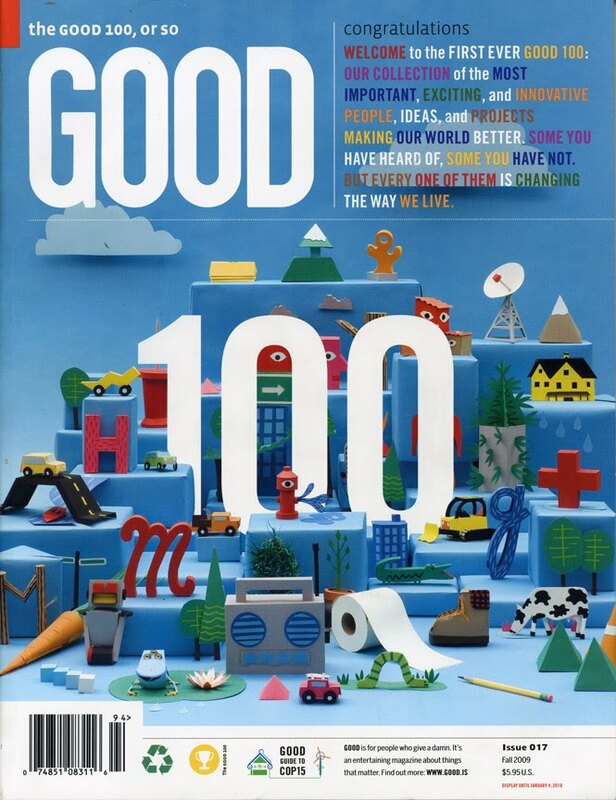 The recent issue of Good Magazine just came out and we are in the top 100, or so, people "changing the way we live". 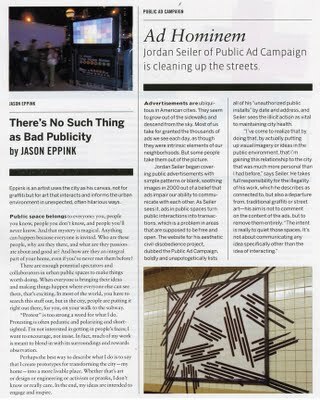 We couldn't be more proud to be listed amongst some amazing projects as well as on the same page as Jason Eppink, a fantastic artist and good friend. Check your local news stands and pick up a copy today, it is well worth it.